Monolog – aka. 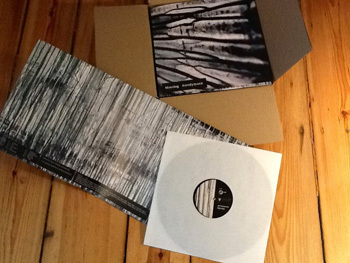 Mads Lindgren – is a musical traveller in the bleak underground of electronic music. Danish born but through many years resident in Berlin, he has spent over a year in his Kreuzberg-studio to produce Aerodymanic; an album on which he explores a raw, energetic and highly experimenting realm of sound. On Aerodymanic Lindgren has delved into the musical underground of which he is an integral part in the German capitol city. With elements from both post-dubstep, drum’n’bass and the breakcore genres he has hurled himself into a throbbing hybrid genre, which is difficult to label and where both slowly shuffling and manically surging beat-structures armwrestle with heavily compressed and abstract baselines in a audio landscape that is as elegant and graceful as it is brutal. The adventure starts in Denmark with various metal bands up through the 90’s, but right from the very start of his career Lindgren has always kept his grib in the jazz guitar sound that he grew up with. This rare combination resulted in an often very aggressive sound with complex harmonic structures in, for instance, the band Wombat in Combat. Later he turned towards the modern jazz in Vestbirk Noiz Ensemble, a 13-man orchestra lead by Niels Praestholm, and shortly thereafter his solo project Monolog was born. Here he held on to the hard sound from his early endeavors, but added an explicitly experimental electronic dimension to his musical output. Through loads of live concerts around Denmark he started, around the turn of the millennium, to release records on ao. the Danish label Tender Productions – and after his reallocation to Berlin he quickly met and teamed up with another familiar face from the Danish electronic music community, namely Karsten Pflum. From the very start in Berlin he has been a frequent performer on electronic and experimental music stages, including ao. Wendel Club, Zentrale Randlage, Subland, Shadow Dub and even Berghain Kantine – and recently also in live collaboration with Pflum in their joint project A Dying User. Additionally, in recent years he has released several records on labels both nationally and abroad, including BassFlo’, Fixz and Illphabetik. With this album Lindgren is now presenting his most ambitious musical project to date, which undoubtedly is the peak of the 15 year long musical journey. Aerodymanic is released on vinyl LP and as free MP3-download under Creative Commons license, which encourage music fans to freely and legally redistribute the music. The LP will be on record shelves from February 18, 2012, and can be downloaded freely on the same date and onwards from both artist and record label websites – as well from all music portals, torrent search engines and file sharing services.